A few months old baby was found covered with a blanket in Abri e Epërme Village of Drenica. The baby was one of the members of the Delijaj family that was killed. The Serbian authorities claimed that only terrorists were killed. Does the above victim look like a Al-Qaeda terrorist? 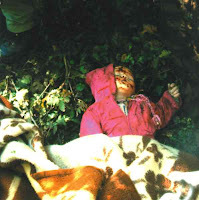 Even this image look like scenes from horror movies it is actual images of Serbian war crimes on Kosovo Albanians. 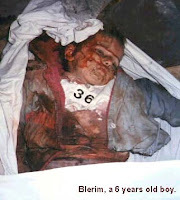 Below you can find pictures of civilians killed by the serbian troops in 1998 only. Since they are very disturbing, we do not recommend viewing them if you are under 18 and / or sensitive. 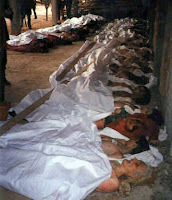 Massacre in Rogove Village. January 1999. Massacre in Abri e Epërme, Drenicë. October, 1998. Massacre in Lybeniq, Drenicë. Summer, 1998. Massacre in Prekaz, Drenicë. February, 1998.